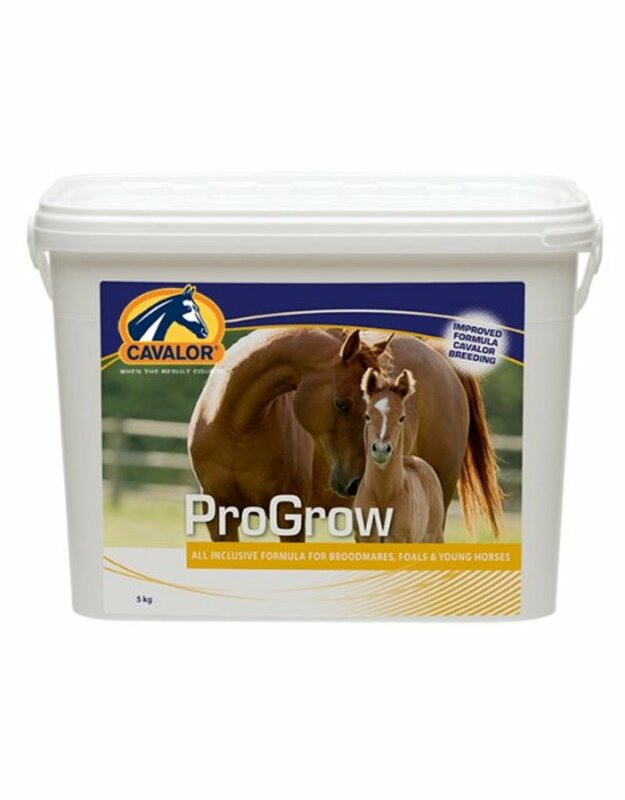 Cavalor ProGrow is a nutritional supplement in the form of pellets with a maximum amount of vitamins and minerals, specially developed for foals, young horses and broodmares. 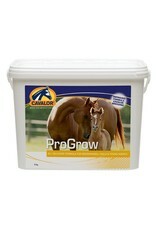 Cavalor ProGrow contributes to the healthy development of growing horses and pregnant and lactating mares. Give Cavalor ProGrow daily as a supplement to normal feed. Cavalor ProGrow contains vitamin A, D3, E, K3, B1, B2, B3, B6, B12, H (biotin); folic acid; choline; and minerals / trace elements: iron, copper, zinc, manganese, iodine, cobalt, selenium, magnesium, calcium, phosphorous, sodium, potassium, lysine, methioonine, cysteine, threonine and tryptophan.